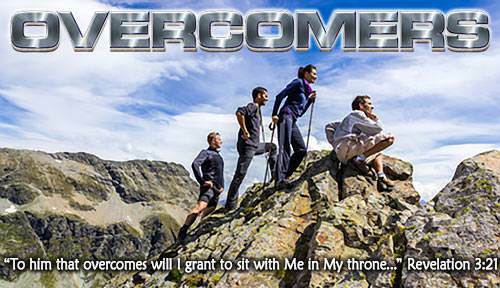 I am Forgiven and Loved!—Lesson 3 in "Overcomers"
Lesson 3: I am Forgiven and Loved! I must know that all my sins are forgiven. I must know how God feels toward me right now. Let us think about a father who has a little son whom he loves very much. The father has a valuable clock and he tells his son, "Don't play with my clock. You might break it." The father goes away. 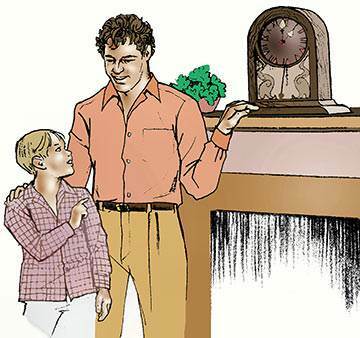 The son looks at his father's clock and decides that he will play with it anyway. And, sure enough, he breaks the clock. When the father returns, he finds that his clock is broken. The son admits that he did it. The father says, "You have disobeyed me. You will have to go to your room and stay there until the clock is fixed." The son is not happy at all. He knows that he was wrong in disobeying his father. Meanwhile, the father is not very happy either. He loves his son and cannot bear being separated from him. But the son's disobedience must be taken care of. What does the father do? He says, "I will fix the clock myself." He fixes the clock perfectly. Then he goes to his son. 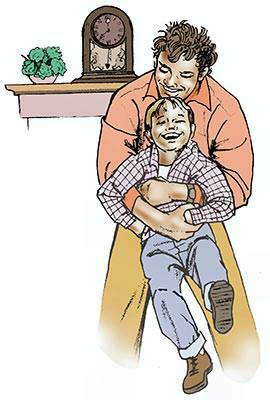 When the son sees his father, he bursts into tears and says, "Daddy, I'm sorry I broke your clock. I don't know how to fix it." The father takes his son into his arms, hugs and kisses him, and says, "I forgive you, son. I fixed the clock myself." The son can now enjoy his father. He knows two things: he knows that he is forgiven, and he knows how his father feels toward him. He says, "I didn't know that my father loved me so much." Even though we have disobeyed God many times, He loves us with all His heart. 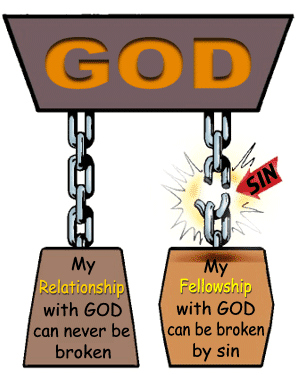 He cannot bear having us separated from Him, but our sins must be taken care of. God gave Jesus to us to be our "Lamb." In the Old Testament, God told His people to bring an animal, usually a lamb, as a sacrifice for their sins. A man would bring the lamb to the priest. He would lay his hand on the head of the lamb and say something like this, "I have sinned, but God has allowed this lamb to die for my sins." Then the lamb was killed. The lamb's blood was poured out. What was God teaching His people? He was teaching them that sin is such a terrible thing that something had to die for their sins. The Bible says, "Without shedding of blood is no remission [no forgiveness of sins]" (Hebrews 9:22). 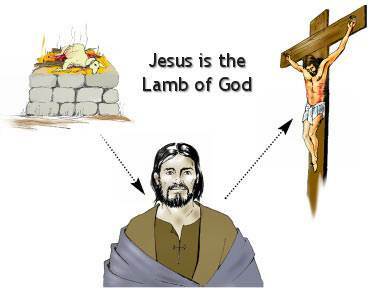 When a lamb died for a person's sins it was a "picture" of how Jesus would one day die for our sins. When Jesus came, John the Baptist said, "Behold [look at] the Lamb of God, which takes away the sin of the world!" (John 1:29). What do we mean when we say that Jesus is "the Lamb of God"? We mean that Jesus is the perfect sacrifice for the sins of all people who have ever lived or ever will live. It is as though God were saying, "For thousands of years you have been bringing your lambs to Me. Now I will provide My Lamb for you. I am giving My Son to you to be your 'Lamb.'" The Lord Jesus came to be the perfect sacrifice for all the sins of all people. Did He finish the work He came to do? Yes, He finished it perfectly. 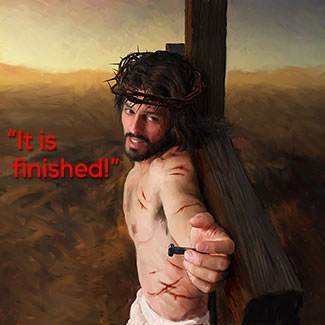 Just before He died, He cried out, "It is finished!" He had finished the work He came to do. God forgives us of all our sins. "Remission of sins" means that God forgives all of my sins forever! The forgiveness which God gives to me when I receive the Lord Jesus as my Savior is an eternal forgiveness. It is forgiveness of all my sins—past, present, and future. You may be thinking, "I can see how God can forgive my past sins and my present sins, but how can God forgive me of future sins—sins which I have not yet done?" God knows everything—past, present, and future. He sees my whole life, from beginning to end. God gave His Son to die for all my sins. At the time when Christ died, how many of my sins were in the future? All of them were in the future then. But God saw them all and Christ died for all of them. What happens when I sin after I'm saved? The moment I took the Lord Jesus as my Savior, God gave me eternal forgiveness. That is, He forgave me of all my sins—past, present, and future. God is my heavenly Father and I am His child forever. When I sin now, I do not lose my relationship with my heavenly Father; I am still God's child. When the little boy broke his father's clock, he was still his father's child. But he lost his fellowship with his father, and he was unhappy. Sin breaks my fellowship with my heavenly Father; I lose my joy. When this happens, I need another kind of forgiveness which we will call fellowship forgiveness. "Father, I lost my temper and said wrong things to __________. I have asked them to forgive me. Now I am confessing this sin to you, and I am asking You, in Jesus' name, to forgive me." When should I confess my sin to God? I should confess my sin as soon as I know that I have sinned. I should not put it off until some later time. I should go to my Father in prayer at once and confess my sin to Him. When I do, He forgives me immediately. The Lord Jesus came to tell us and to show us that God loves us with all His heart. Jesus used stories called "parables" to help us understand God's truth. 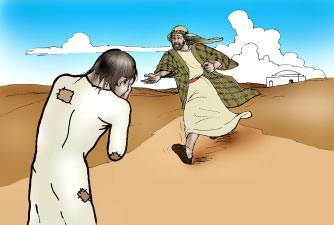 In Luke, chapter 15, Jesus told the story of "the prodigal son." 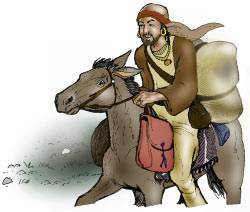 The word "prodigal" means disobedient and wasteful. In this story, the father represents God the Father, and the prodigal son represents you and me. In this parable, a certain man had two sons. The younger son wanted to leave home and do what he wanted to do. He asked his father to give him his share of the family wealth. No doubt the father begged his son to stay, but the son was determined to go his own way. The son spent his money doing sinful things, so he had no money left to buy food. Furthermore, there was a famine in the land. There had been no rain for a long, long time and the farmers had not been able to grow their crops. The son found himself in a terrible condition. He was dirty and in rags. The only job he could find was taking care of some hogs. 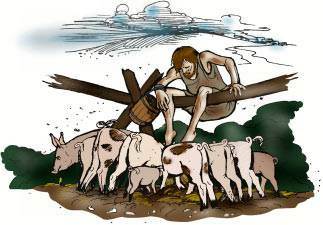 He was so hungry that he wanted to eat the husks that he was feeding to the hogs. How did the father receive him? 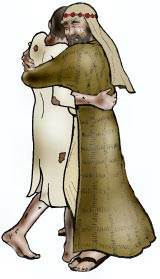 Here are the words of Jesus: "When he was yet a great way off, his father saw him, and had compassion, and ran, and fell on his neck [hugged], and kissed him." Perhaps you think that you are saved, but you are not really sure. Don't go on doubting. Settle the matter now, once for all. Say to the Lord, "Lord Jesus, if I have never really trusted You as my 'Lamb,' the One who died for all my sins, I am doing so now. I am taking You as my Savior right now!" Maybe you trusted Christ as your Savior some time ago, but you have not been living for Him. You want to come back to God, but you wonder how He will receive you. The story of the prodigal son shows you how God will receive you. Don't wait any longer. Come to Him now. Come just as you are. You will discover that God is much kinder and much more loving than you could ever imagine. He will welcome you with joy. To enjoy God, I must know that all my sins are forgiven, and I must know how He feels toward me. God gave the Lord Jesus to me to be my "Lamb." Because God's Son died for my sins, and I have taken Him as my "Lamb," God has forgiven me of all my sins—past, present, and future. Best of all, I know how God feels toward me right now. He loves me with all His heart! "Father, I believe that You gave Your Son to be my 'Lamb.' Thank You that I am your forever-forgiven child! Thank You for showing me how You feel toward me now—that You love me with all Your heart. I want to love You with all my heart, and I want to please You."